Standard size sheet of snowflake peel off stickers in silver. Peel offs are easy to use and can be stuck on card, paper, acetate, plastic, metal and candles. 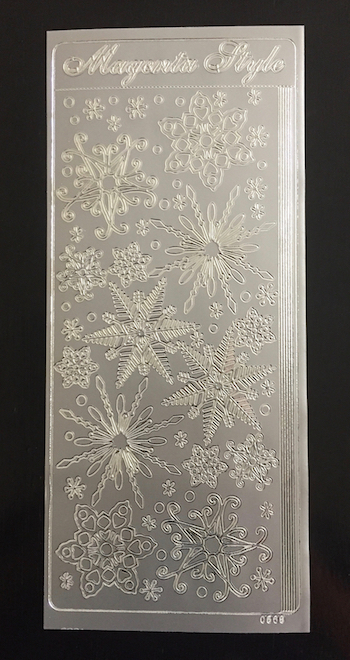 Use these snowflake stickers to decorate Christmas cards, gifts, and gift tags to add a touch of shine.